We have an extensive fleet of eco friendly taxis available for hire here at Yellow Cars. They allow you to reduce your carbon footprint whenever you travel. 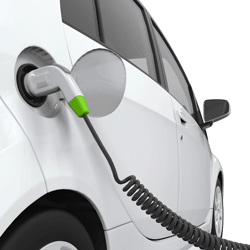 At Yellow Cars, we pride ourselves on keeping up with current technology and this is emphasised by the fact that we were one of the earliest adopters of hybrid and electric vehicles – meaning that you can hire a taxi and be assured that you’re keeping up with your responsibility to be environmentally friendly. Whether you’re just needing a taxi to take you across town, or you need an airport transfer in an environmentally friendly taxi, we’ve got you covered. We have a large fleet of hybrid and electric vehicles that are friendly on the environment with low emissions – meaning you keep your carbon footprint to its minimum. If you’d like to book an environmentally friendly taxi, just give us a call on 0115 981 8181 and mention that you’d like an Eco taxi and we’ll be glad to help. What kind of eco friendly cars do we have available? To book an eco-friendly taxi, just give us a call and tell us the type of vehicle that you'd prefer and we'll endeavour to help. Call us on 0115 981 8181 or use our online booking facility to book a taxi in Nottingham. © 2019, all rights reserved, Yellow Cars.